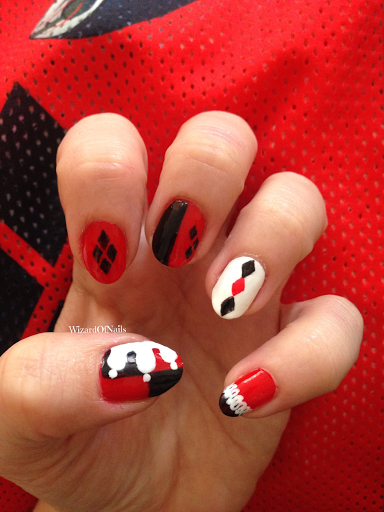 Wizard Of Nails: "Harley Quinn, pleased to meetcha!" 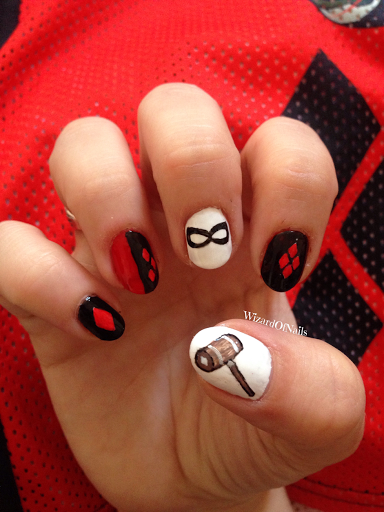 I cosplayed as my favourite DC character, Harley Quinn, at London Film and Comic Con last year and to complete the outfit I had to paint the nails to match. 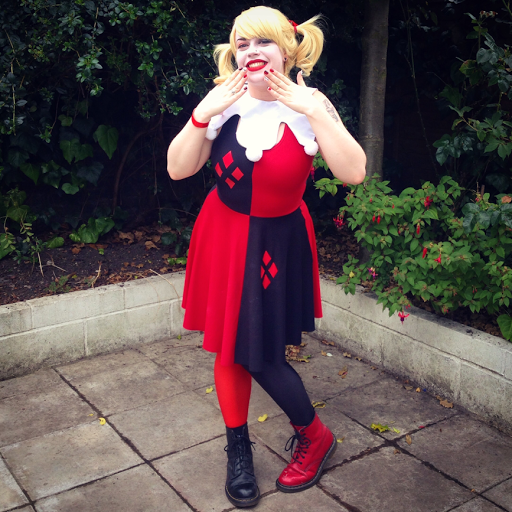 I wore my blackmilkclothing.com leggings and dress, made a collar and bought and styled a wig for the costume. I also wore different colour DM's and applied red and black makeup to add to the finishing touches.